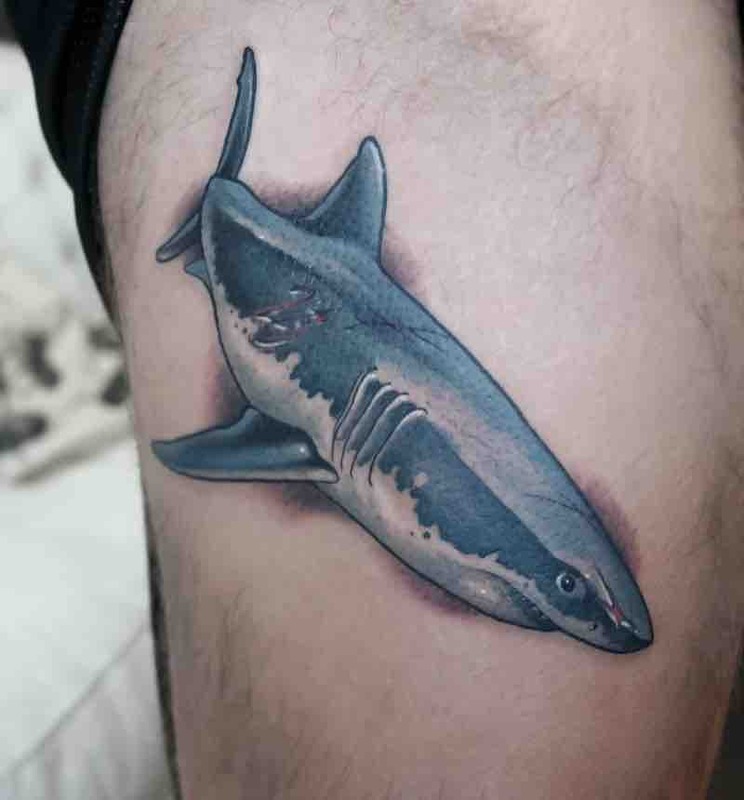 Despite popular belief shark attacks are very rare and rarer still when unprovoked, but with movies like jaws being made and the fact sharks have evolved for millions of years to become the perfect killing machine, its no wonder why most people have a huge fear of sharks. 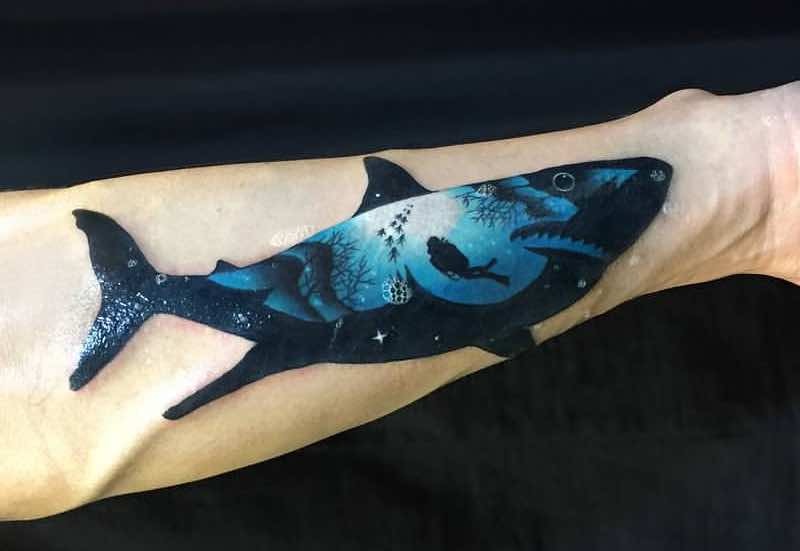 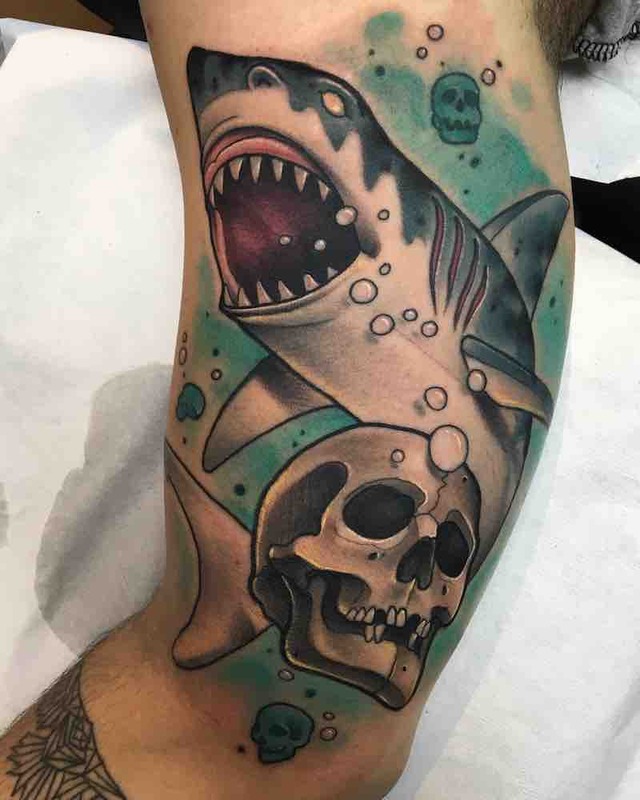 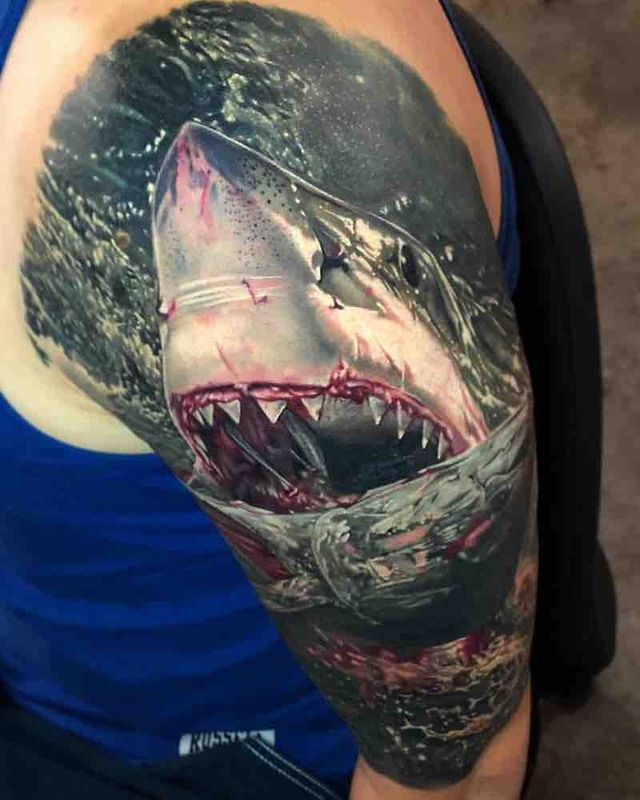 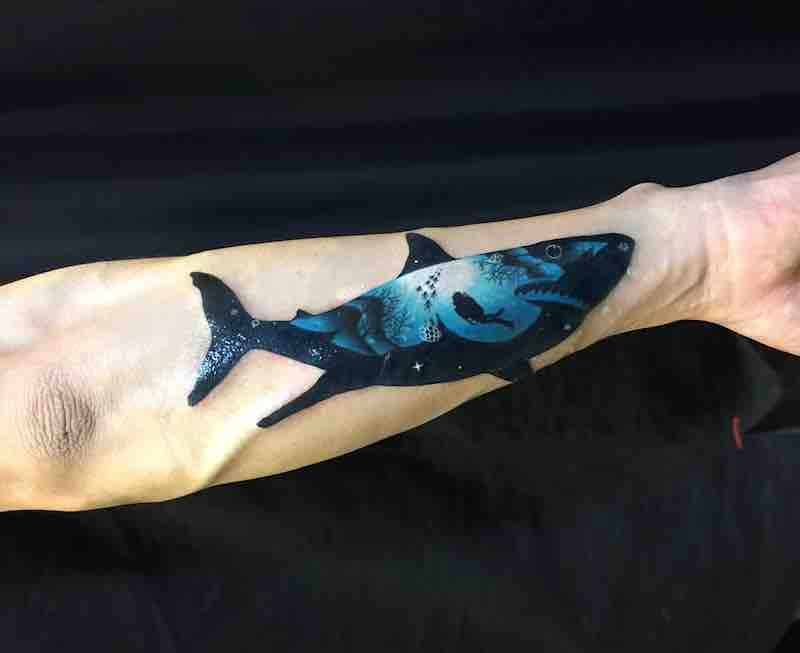 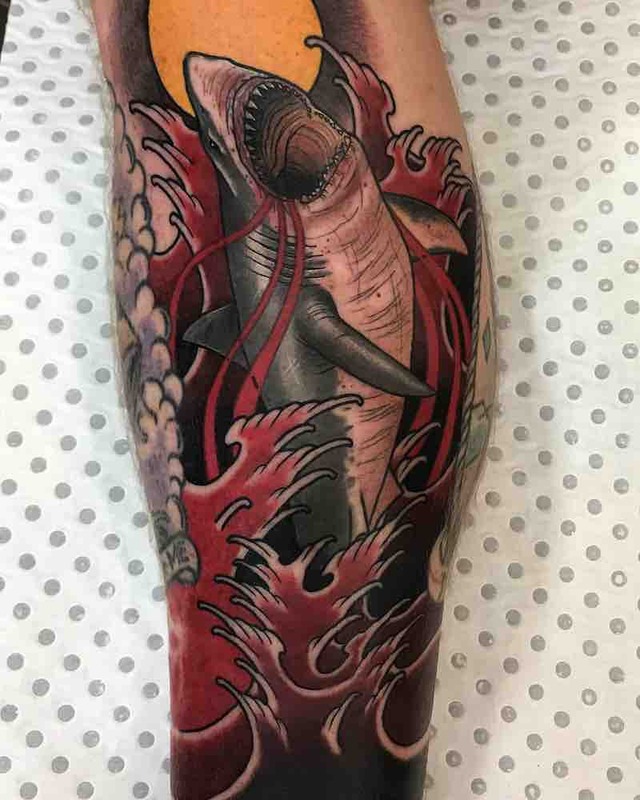 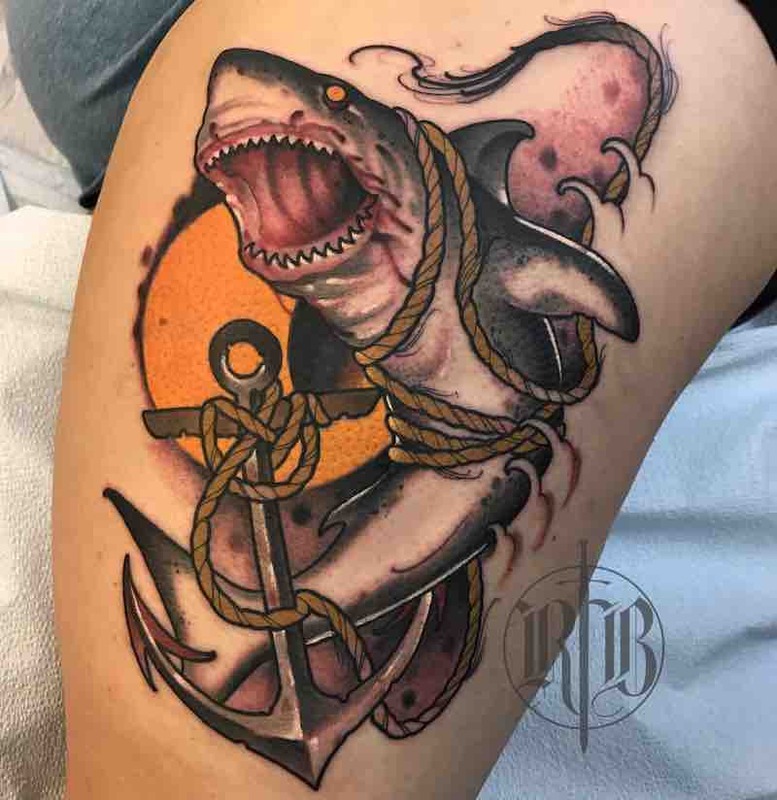 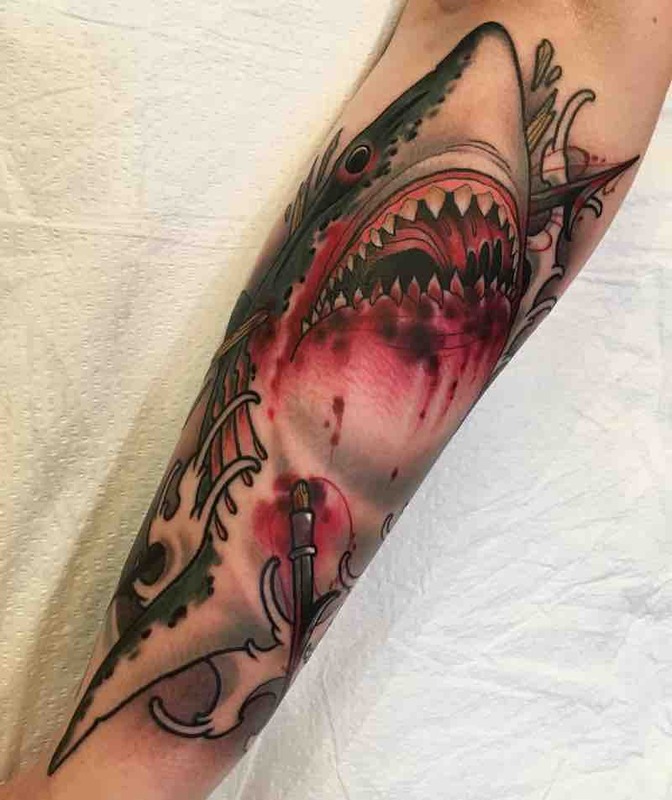 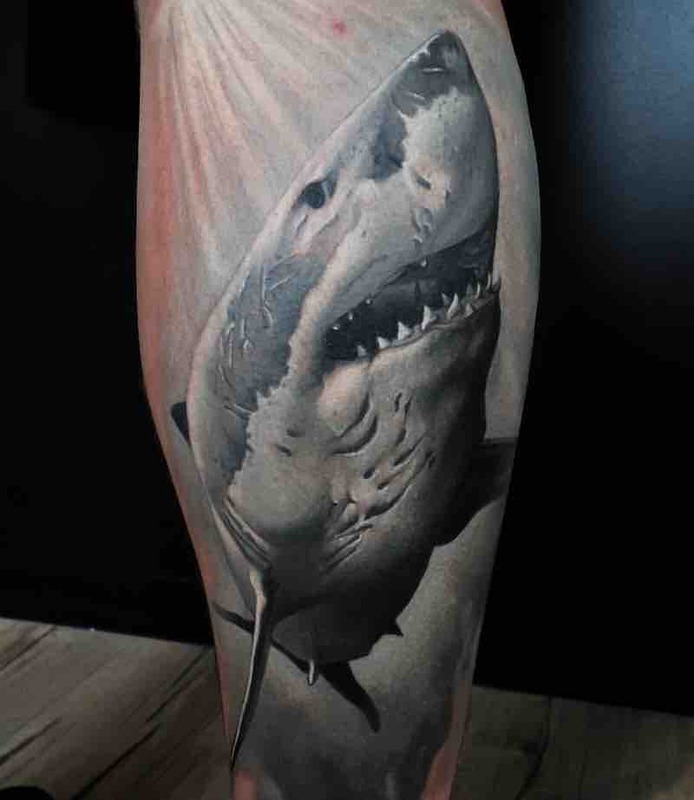 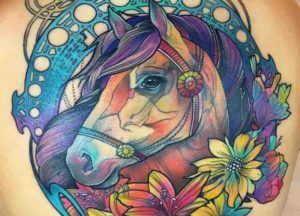 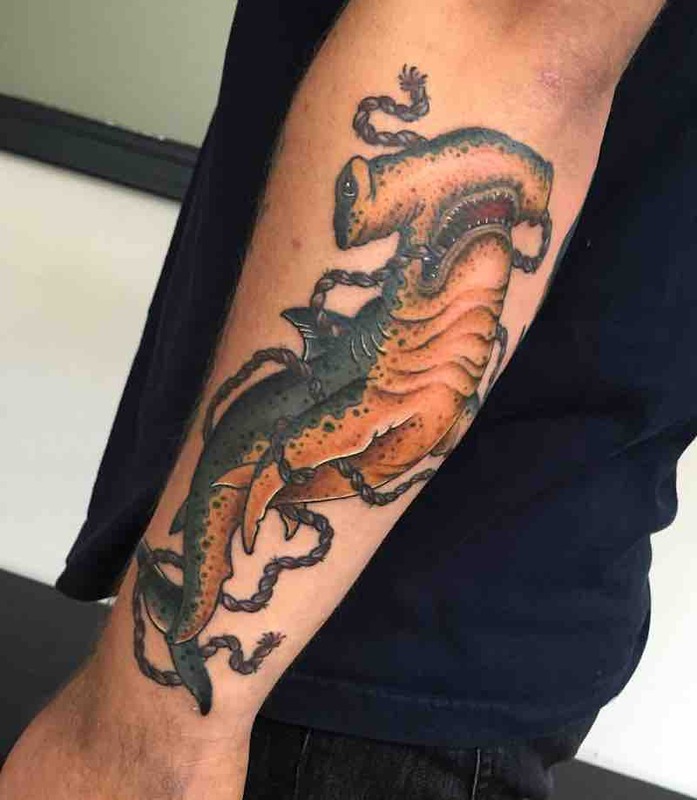 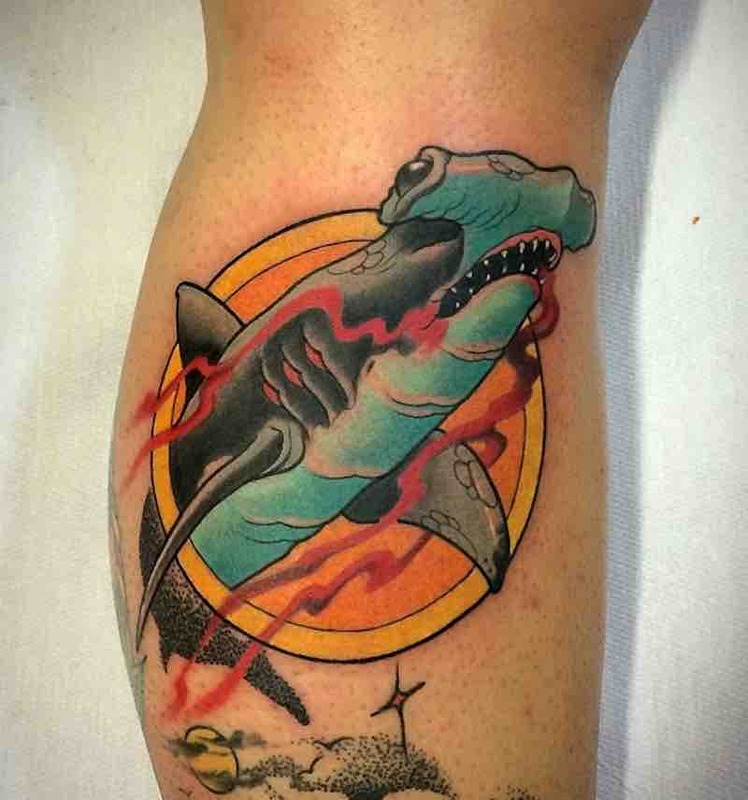 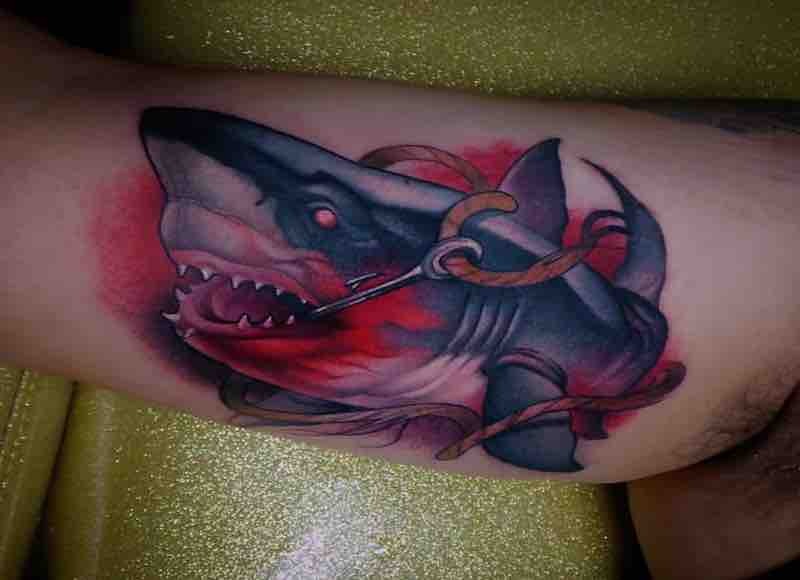 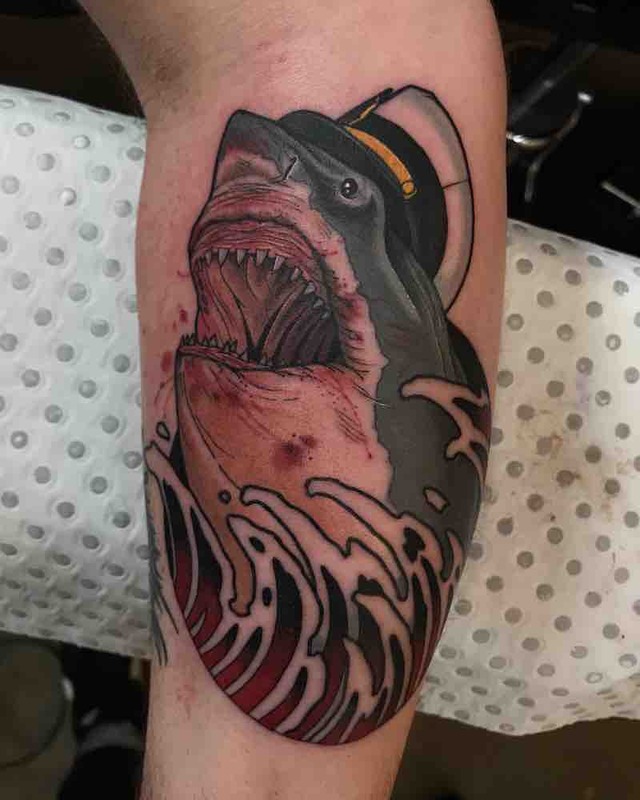 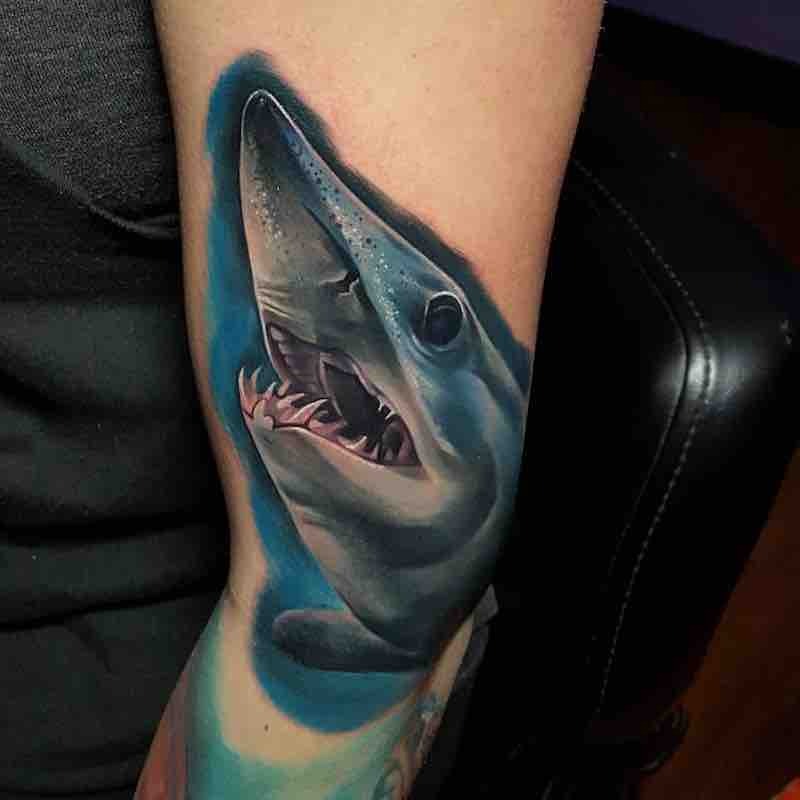 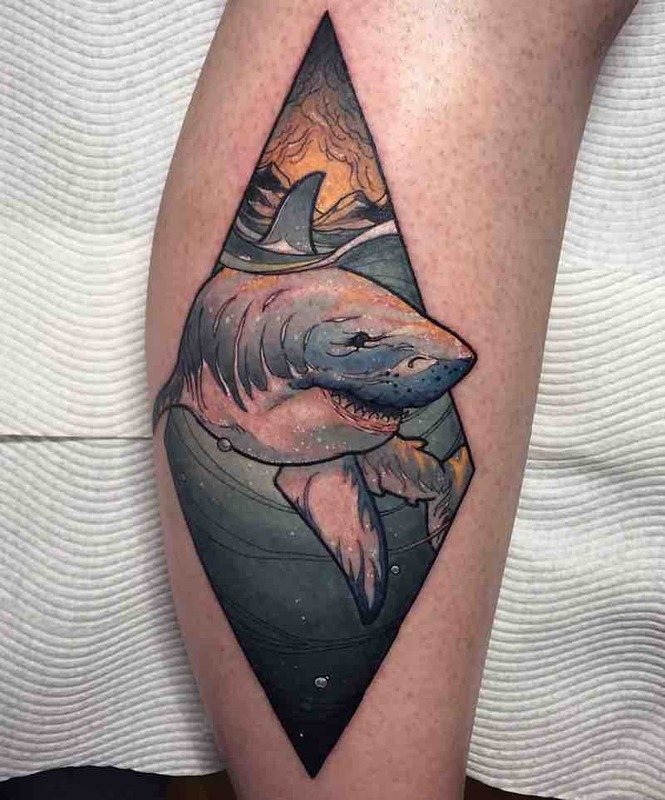 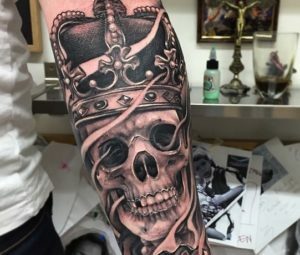 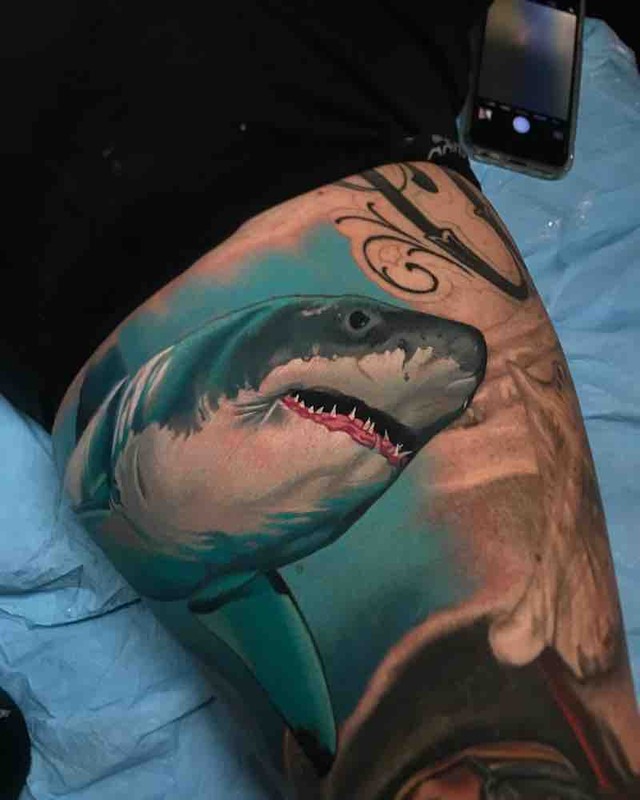 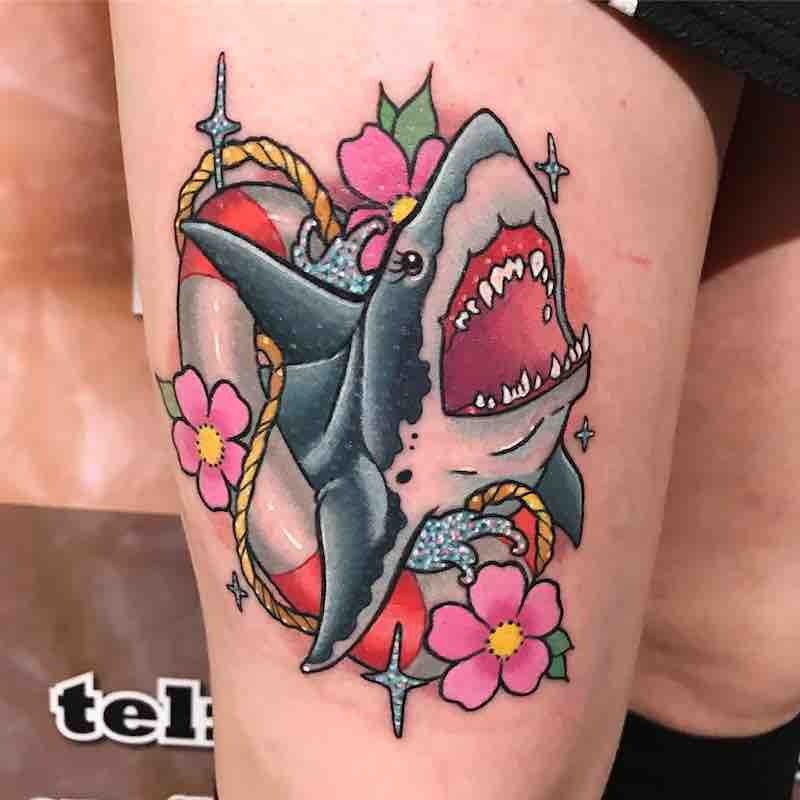 There are endless options for a shark tattoo design and with over 450 species of sharks it can be easy to get a design completley uniquie to any other, although even shark tattoos that have similar designs can still stand out and be some the best done, it all depends on the tattoo artist and design. 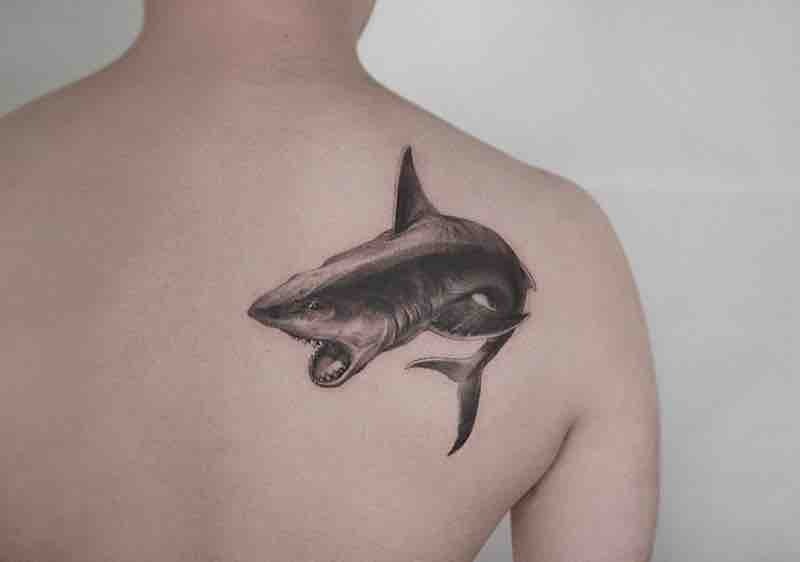 Shark Tattoos are most popular with men, many identify with the characteristics of a shark or simply admire them, although its mostly men getting shark tattoos, there is still many women also getting them done but its more common for women to add more feminine touches and elements to the shark tattoos design, as the shark is a very versatile design and can be done in a way to suit everyone. 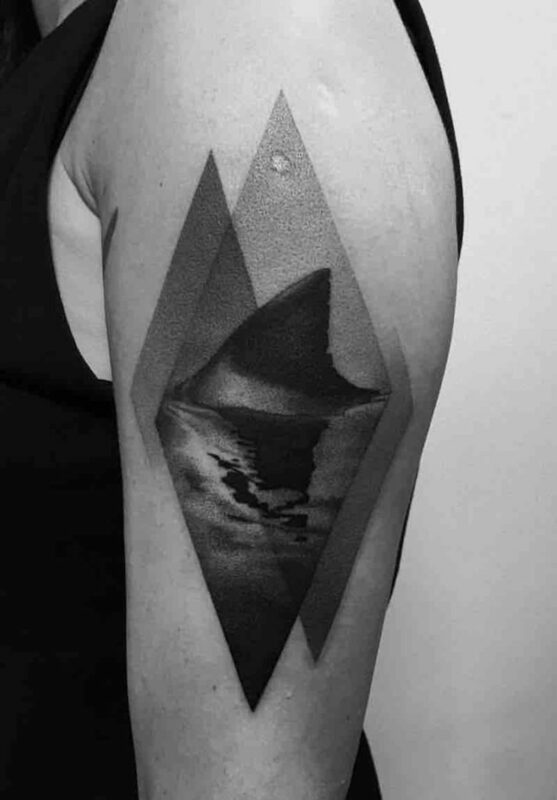 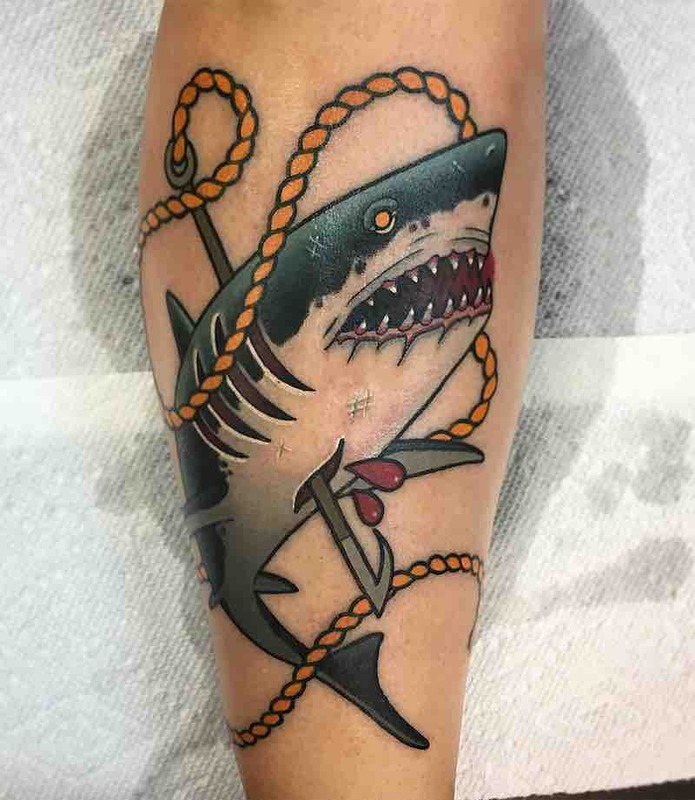 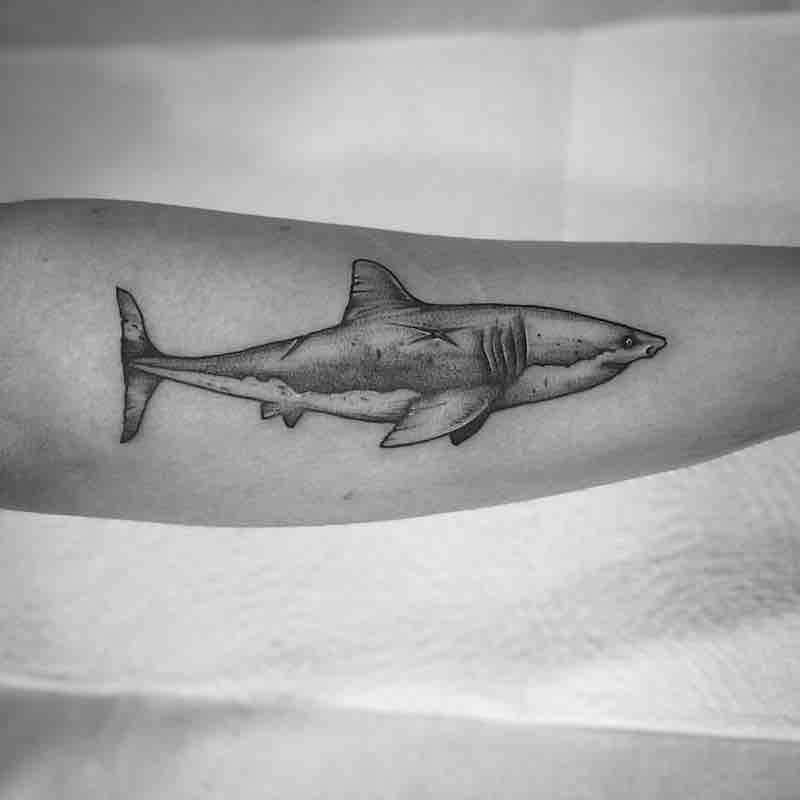 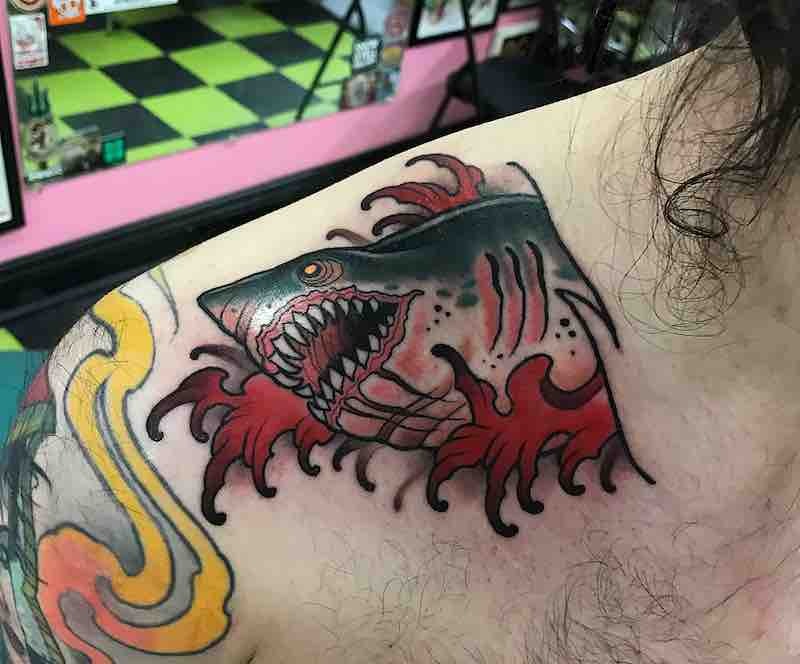 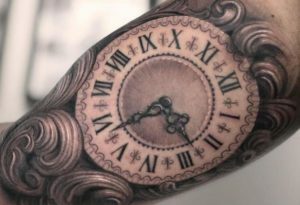 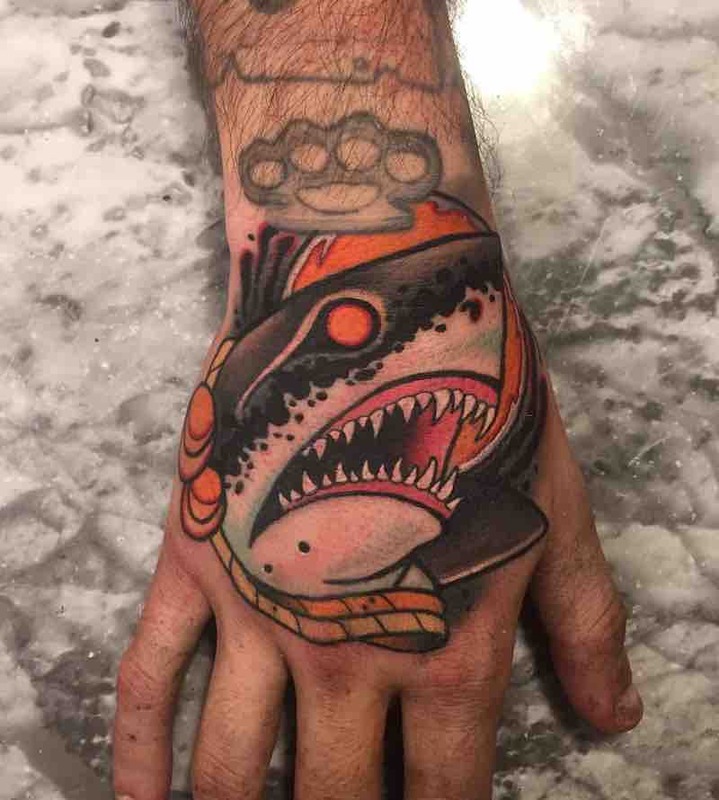 When someone in business has ruthless ways of doing things, they are known as a shark, aswell as in shark tattoo designs the symbolism can mean ruthlessness. 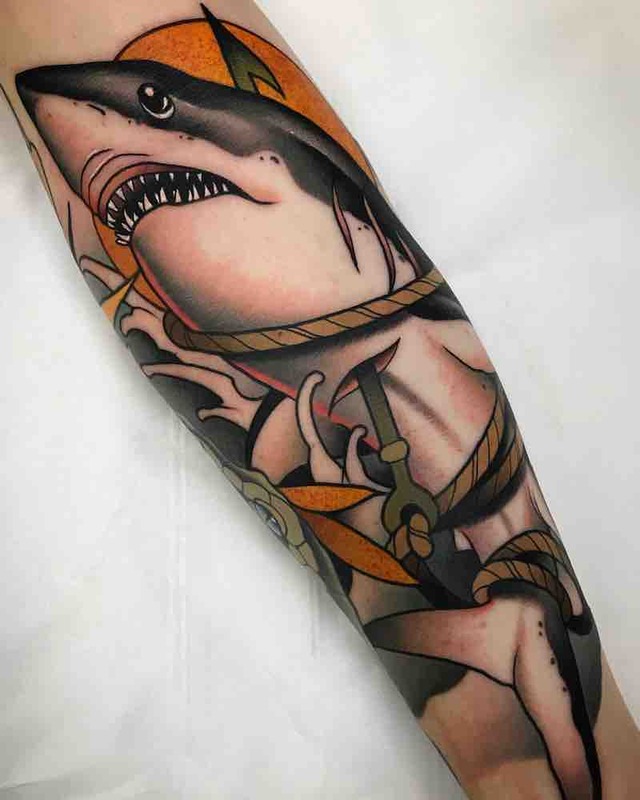 The power of a shark is undenieable which has made the symbolism for the shark power in many cutlures.